Social development is about improving the well-being of every individual in society so they can reach their full potential. The success of society is linked to the well-being of each and every citizen. In the development process development of people is to be focused, not activities said Dr.N.S.Shetty, former Consultant, Food and Agriculture Organisation of UNO. 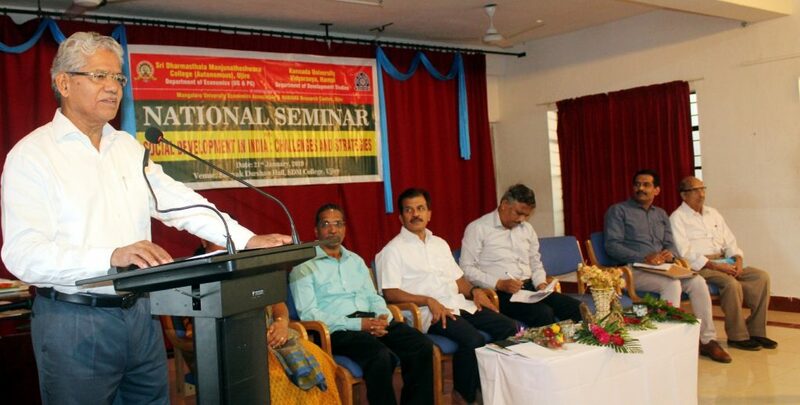 Dr. N. S. Shetty was delivering keynote address at the one day National Seminar on “Social Development in India: Challenges and Strategies”, organised by the department of Economics of SDM College in association with Department of Development Studies of Hampi Kannada University, Mangalore University Economics Association and HAMANA Research Centre on 21st January 2019. In the introductory remarks Dr.Prashanth.H.D, Professor and Chairperson, Department of Develoipmentv Studies, Kannada University, Hampi said the measures which raise equity also promote economic growth; there is no trade-off between equity and growth. It is increasingly clear that the process of development in India must become more socially and economically inclusive. This is important for reducing exclusion, social tensions, inequality and improve overall economic development. Dr.Sreenivasiah, Special Officer, Department of Collegiate Education, Mangalore remarked that focused government interventions, enlightened civil society including NGOs are important for the success of targeted poverty alleviation programmes. 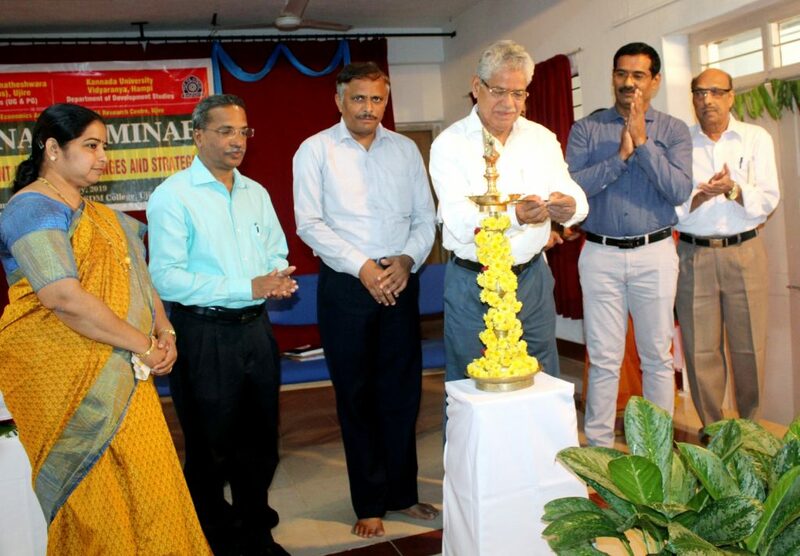 Principal Prof T.N.Keshav presided over the function. Dr.Prashanth.H.D, Professor and Chairperson, Department of Development Studies of Kannada University Hampi delivered a lead lecture on “Challenges of Social Development in contemporary India” and Dr.Robert Clive, Head, Dept of Rural Development, Crossland College, Brhammavar delivered a lead lecture on “Sustainable Development Goals and Development Practices”. 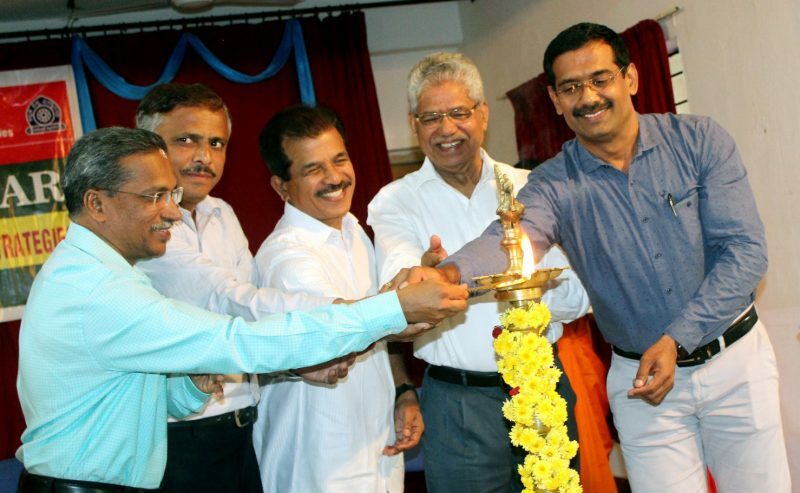 DR.Norbert Lobo, Head, Dept of Economics, St.Alosyius College, Mangalore, Dr.LaxminarayanBHat, Principal, Beseant Evening College, Mangalore, Dr.T.Krishnamurthy, Principal, SDMRPU College, Ujire, Dr.RadhakrishnaShety, Head, Dept of Economics, Sri. Mahaveera College, Moodbidri , Dr.Roopa, Secretary, MUEA and Dr.S.D.Shetty, Director, HAMANA Research Centre were the resource persons. Dr.Joseph.N.M, President, AMUCT delivered valedictory address. 12 resource persons, 64 Staff delegates from 33 institutions, 168 student delegates attended the seminar. 24 researchers presented the papers. Dr.A.Jaya Kumar Shetty, Head,Dept of Economics coordinated the seminar. Dr.Ganaraj.K, Mr.Mahesh Kumar Shetty, Dr.Divakar, Mr.NagarajPoojar, Ms.Vasanthi.M.K and Mr.Abhinandan Jain were the members of organising committee.